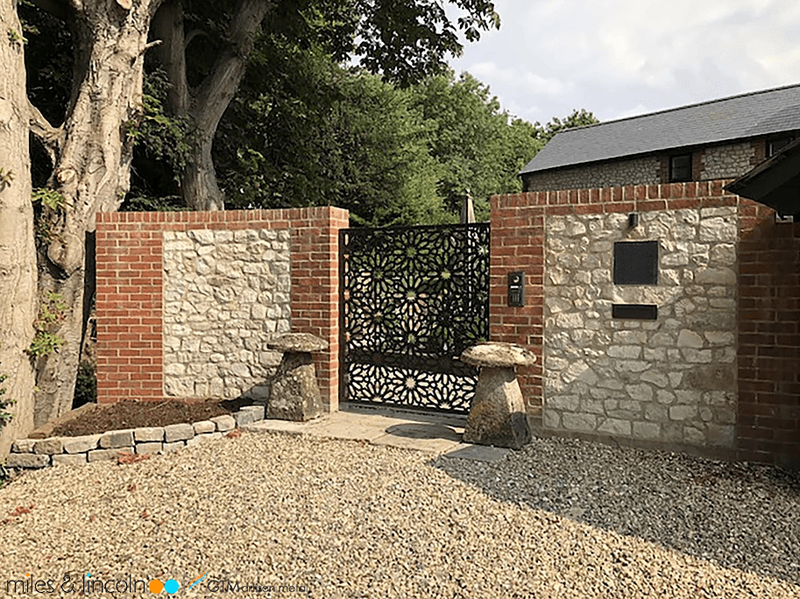 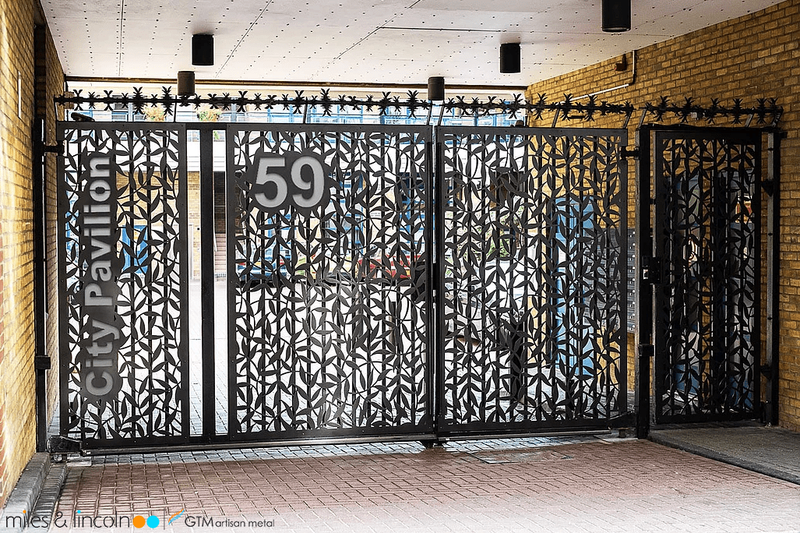 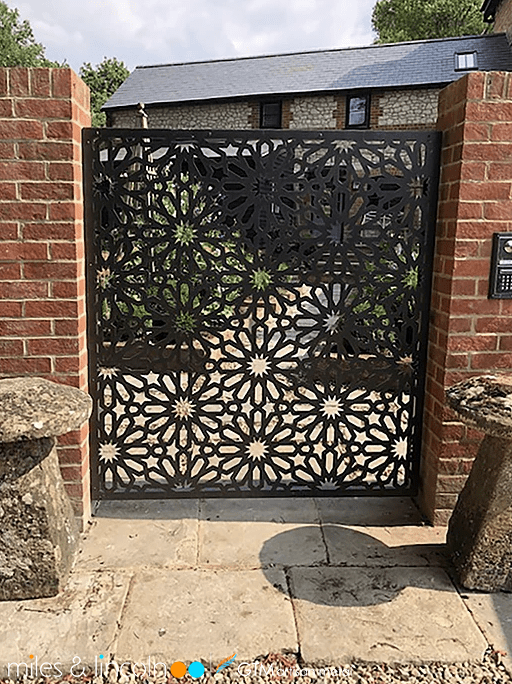 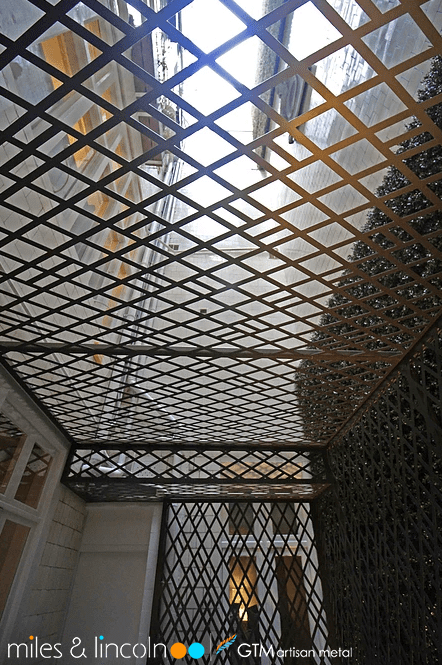 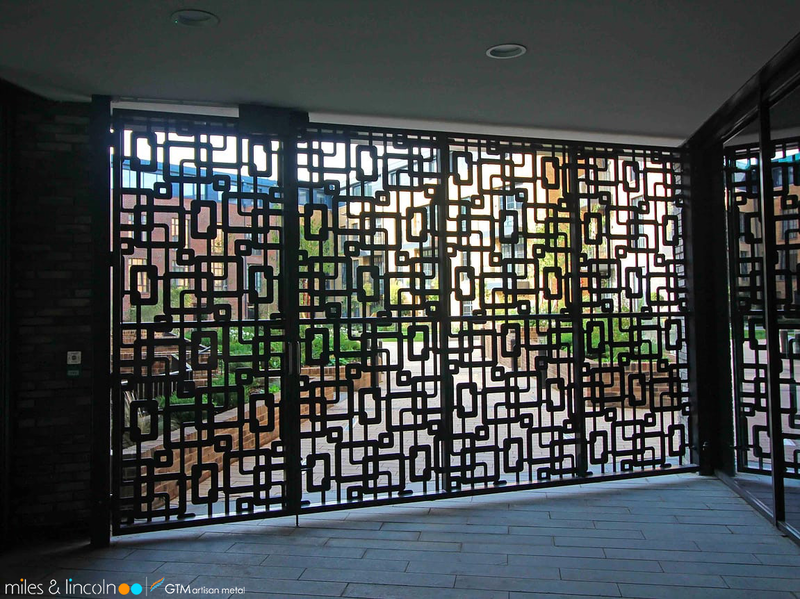 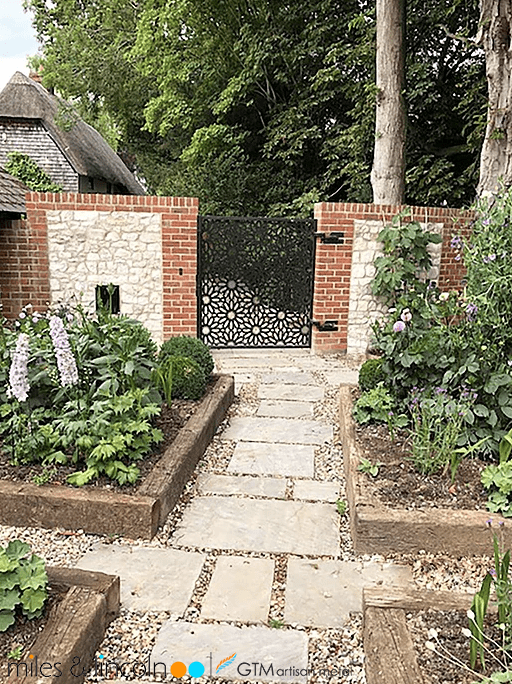 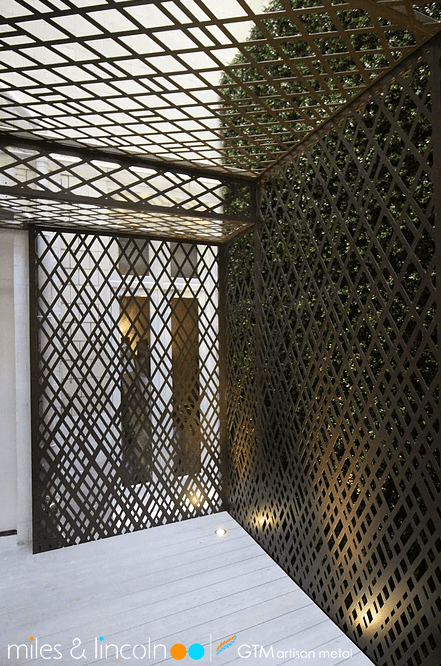 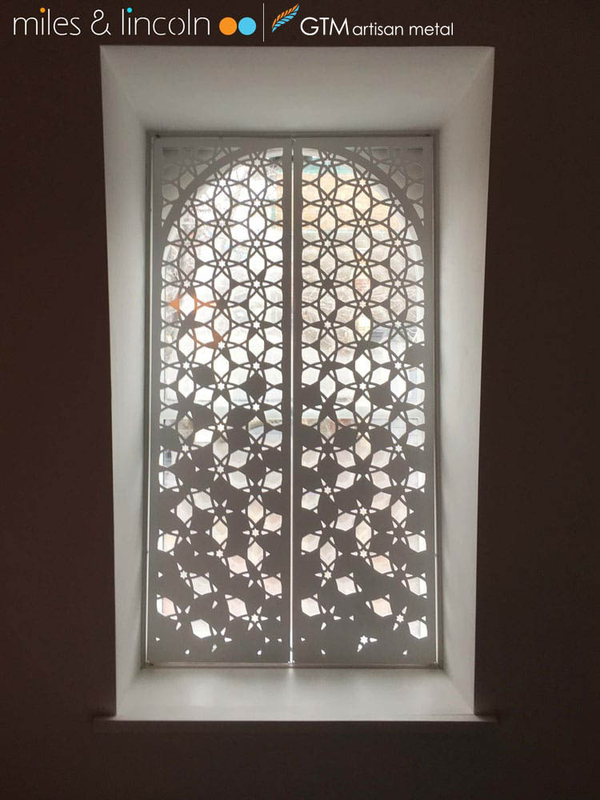 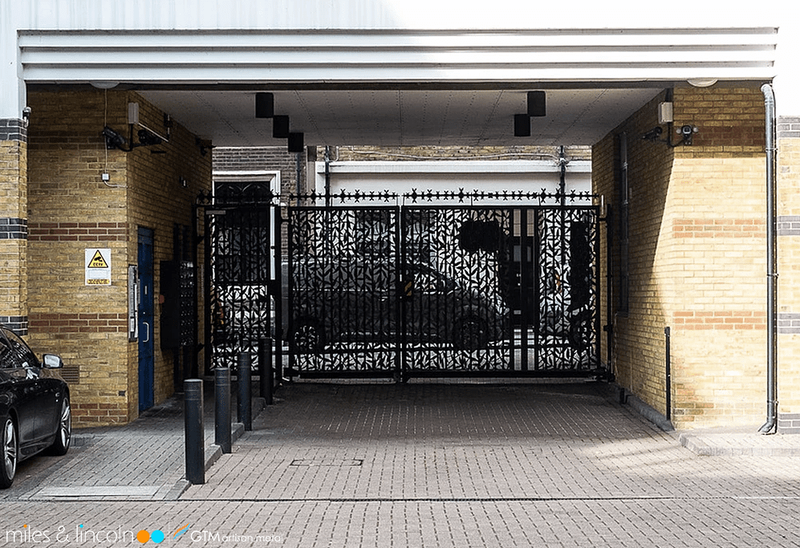 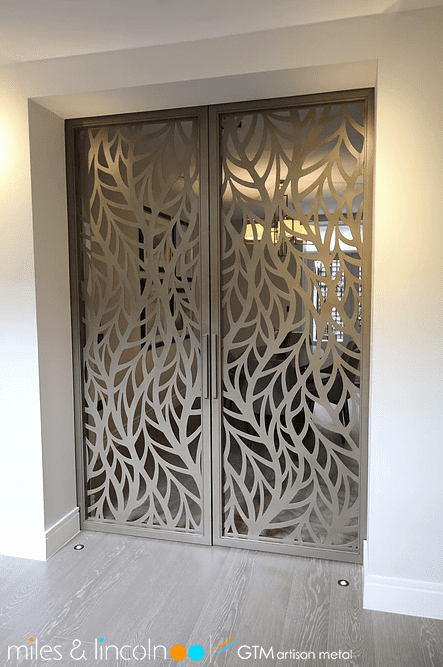 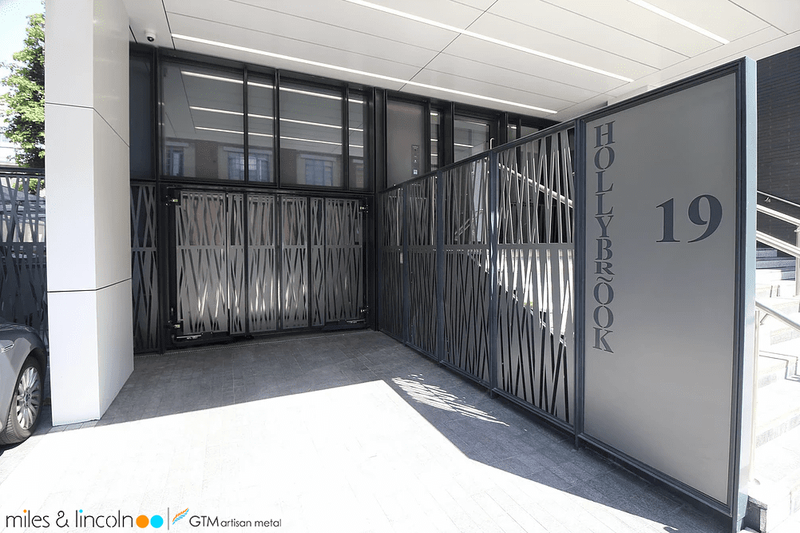 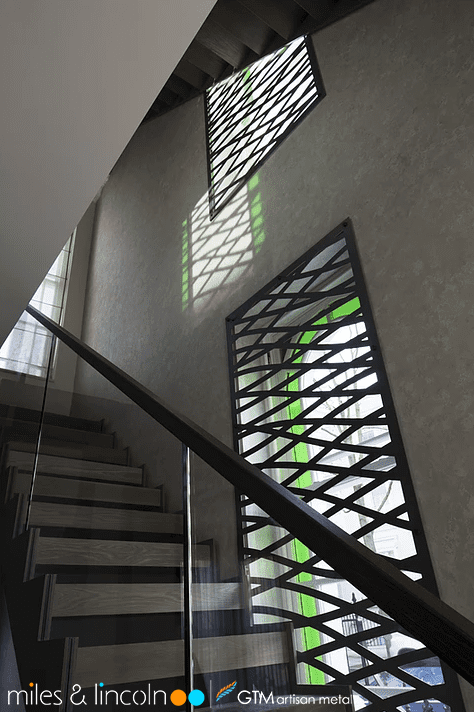 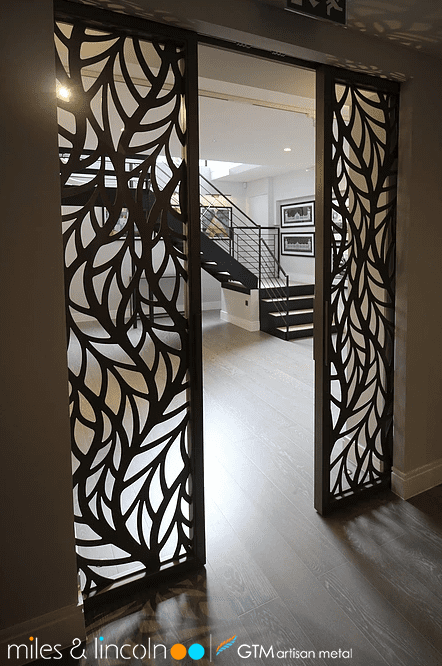 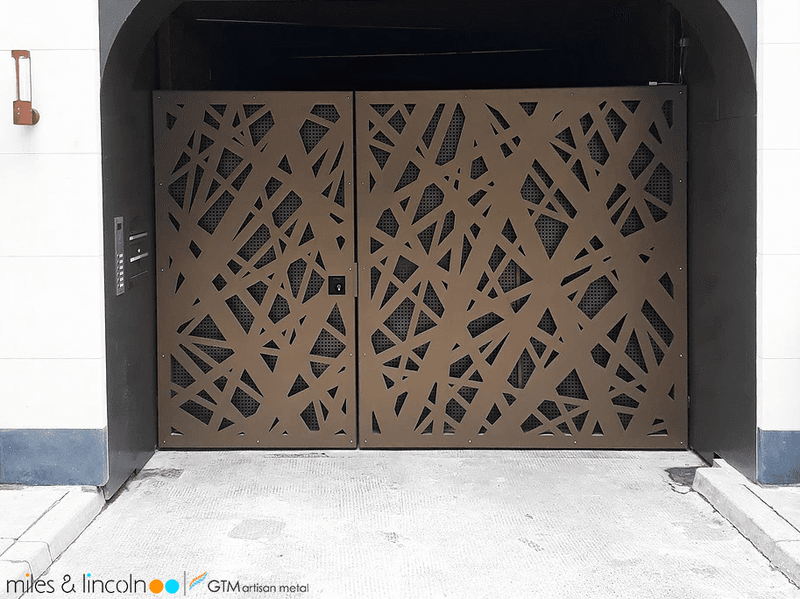 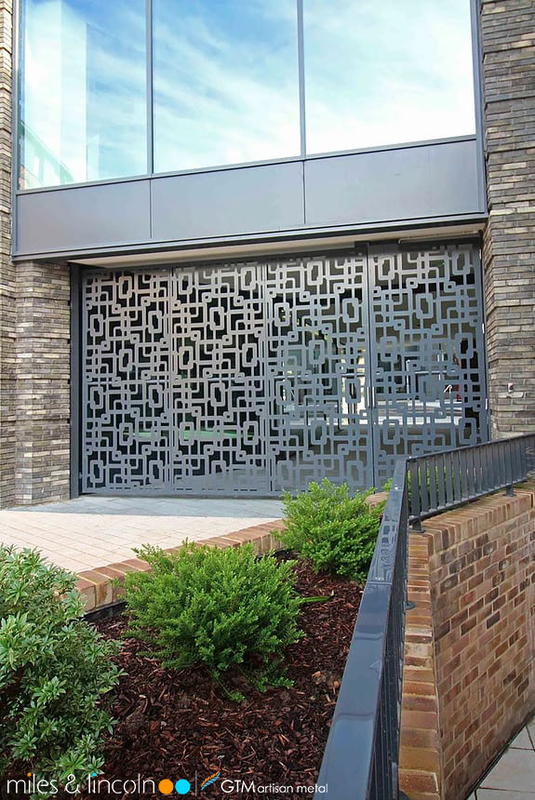 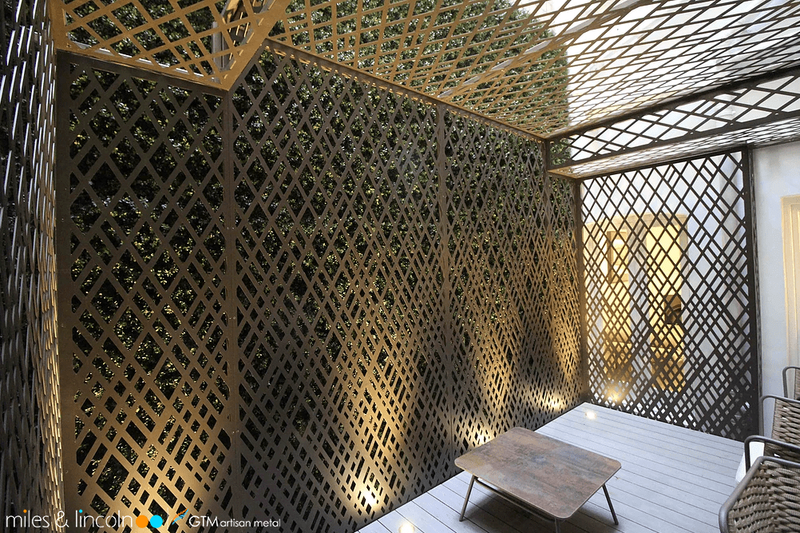 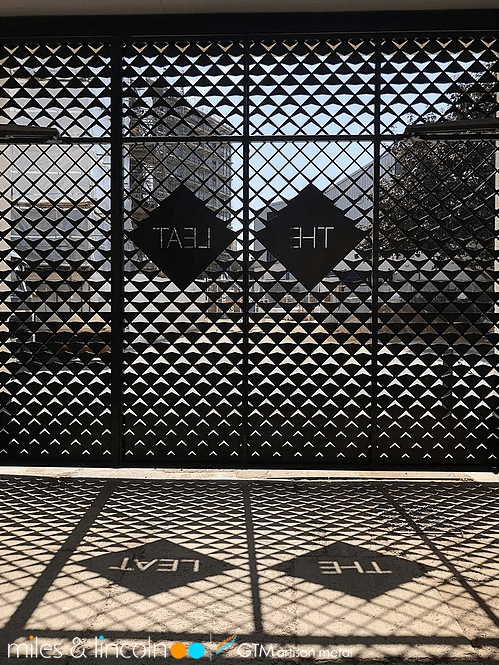 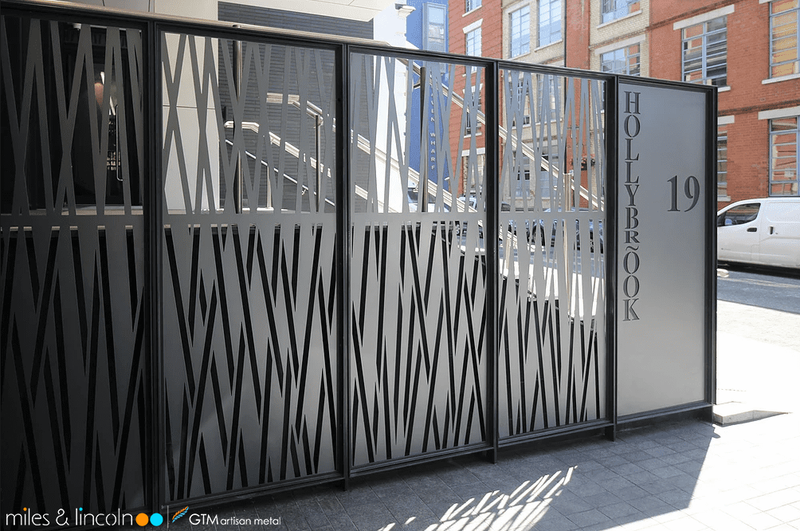 Laser cut screens are used for decorative security panels on external gates. 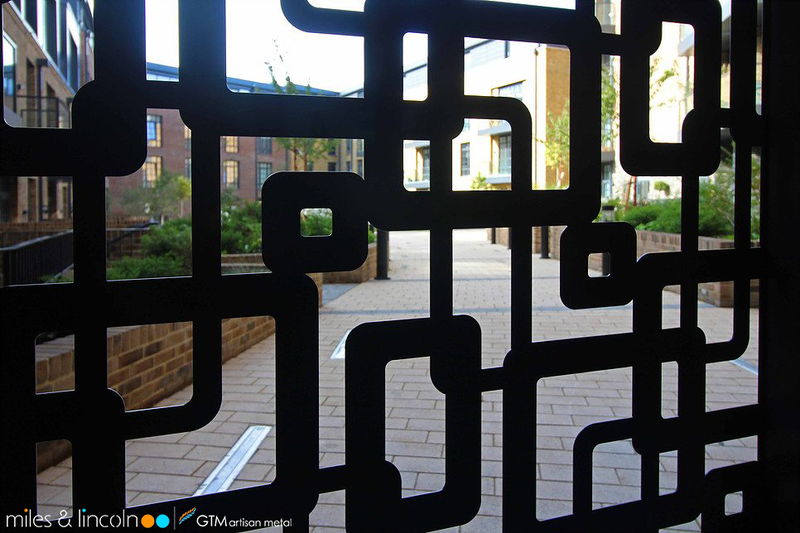 Location address, logos and provision for closing mechanisms and keypads are incorporated. 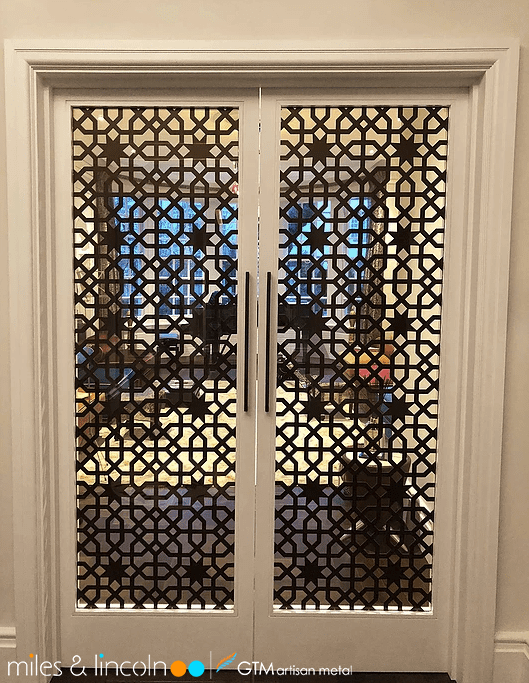 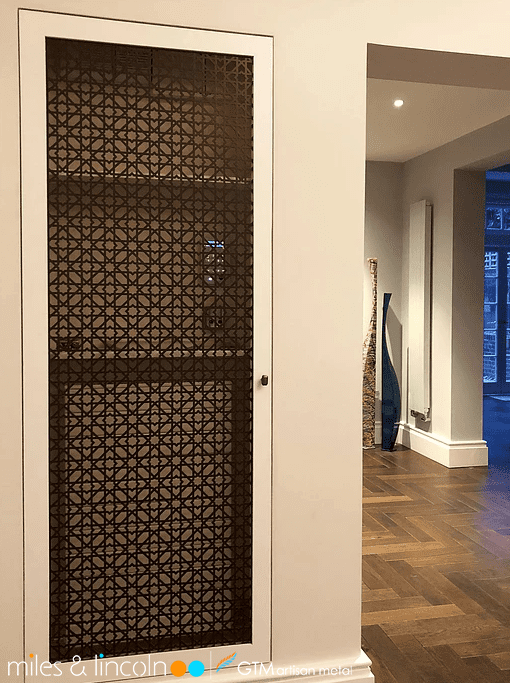 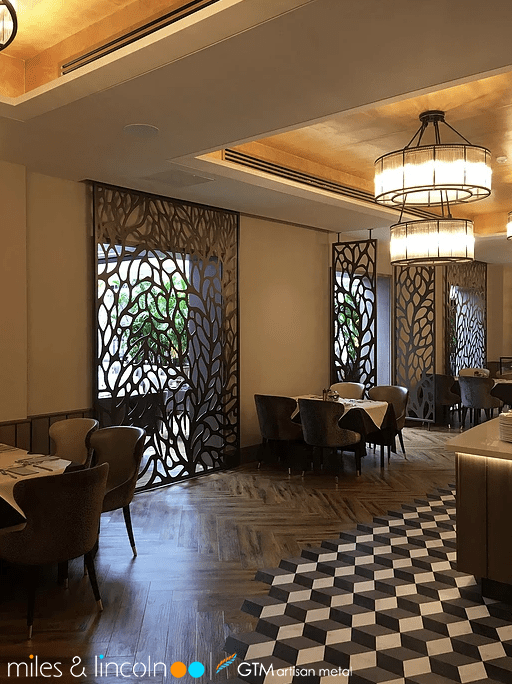 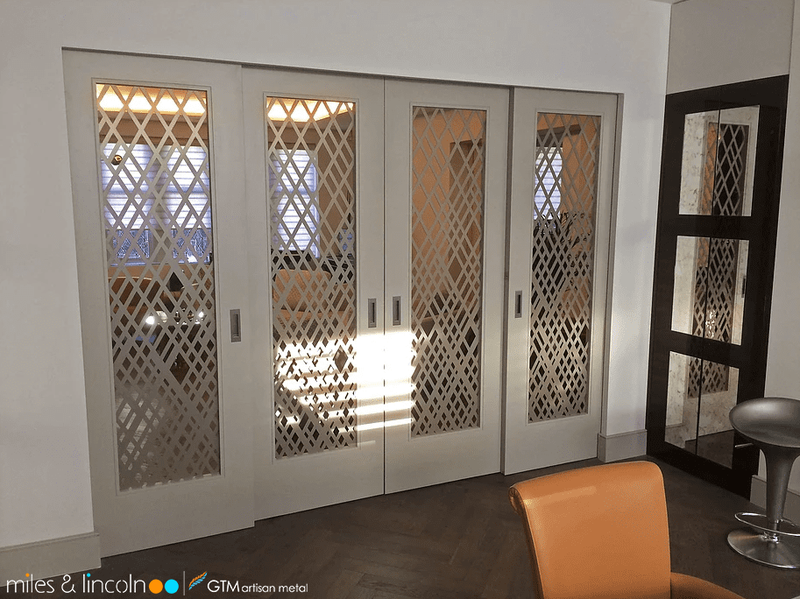 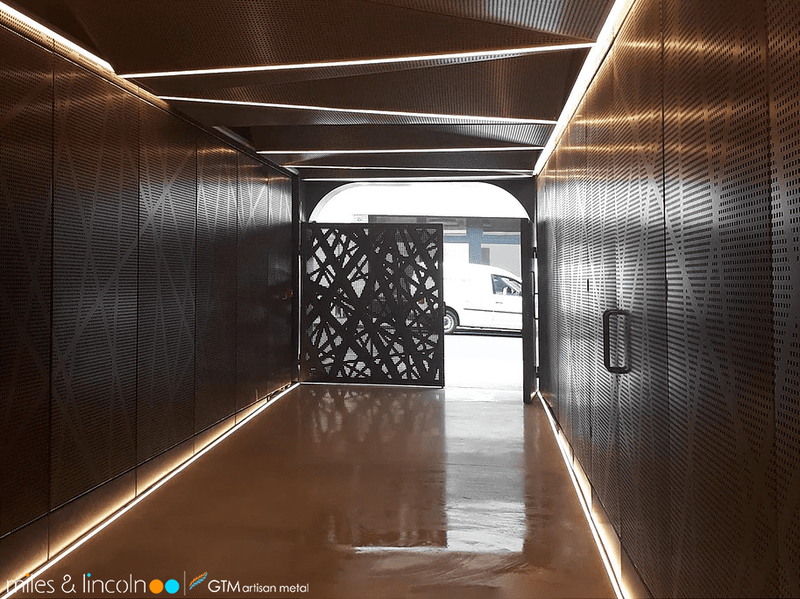 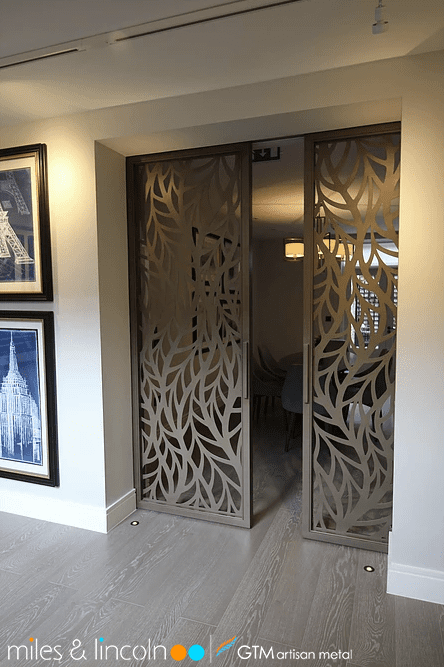 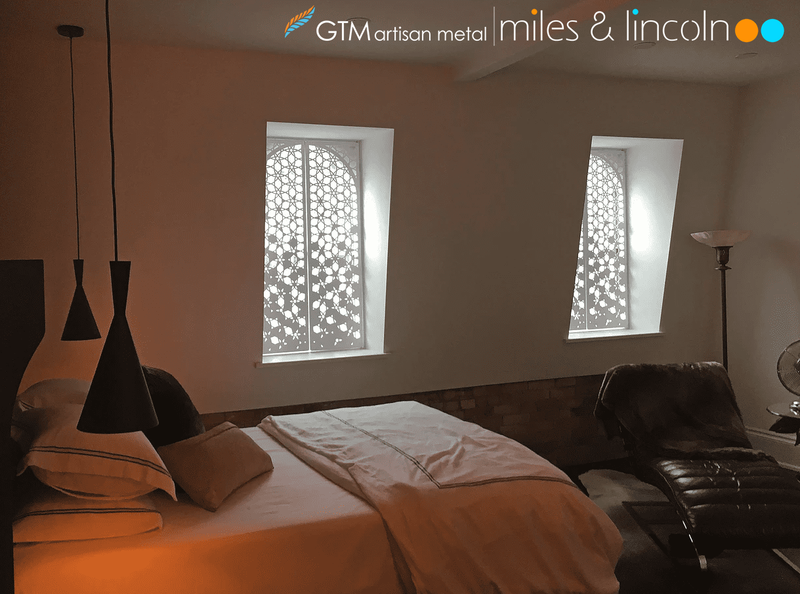 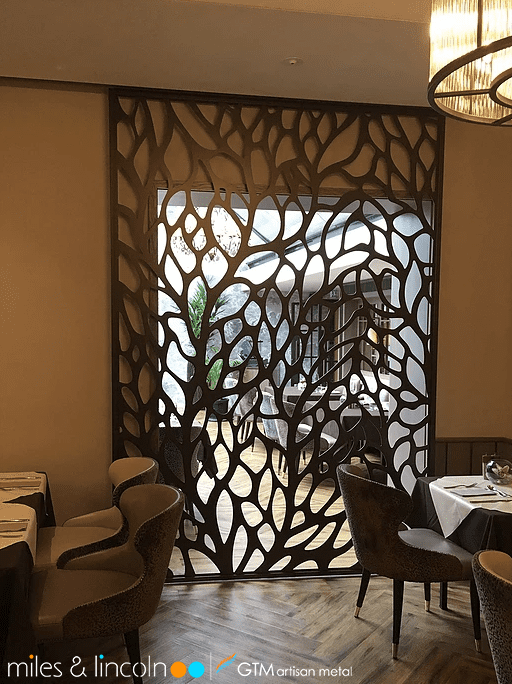 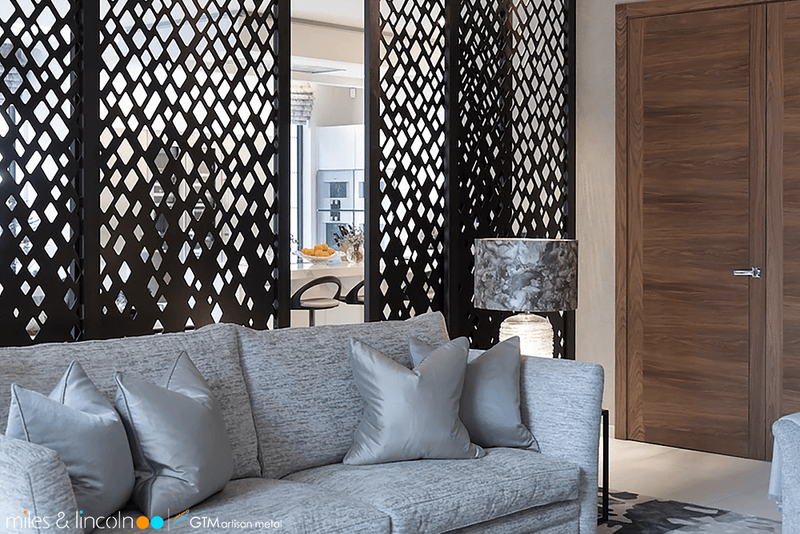 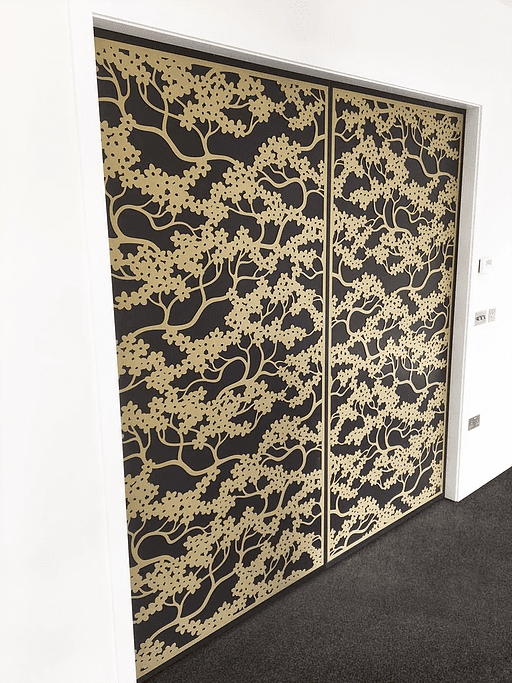 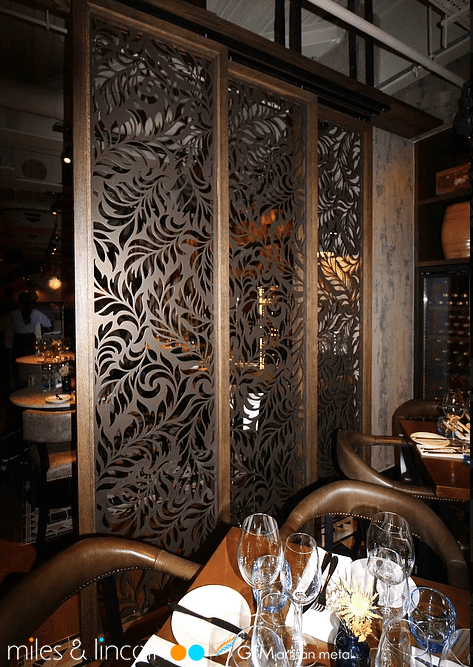 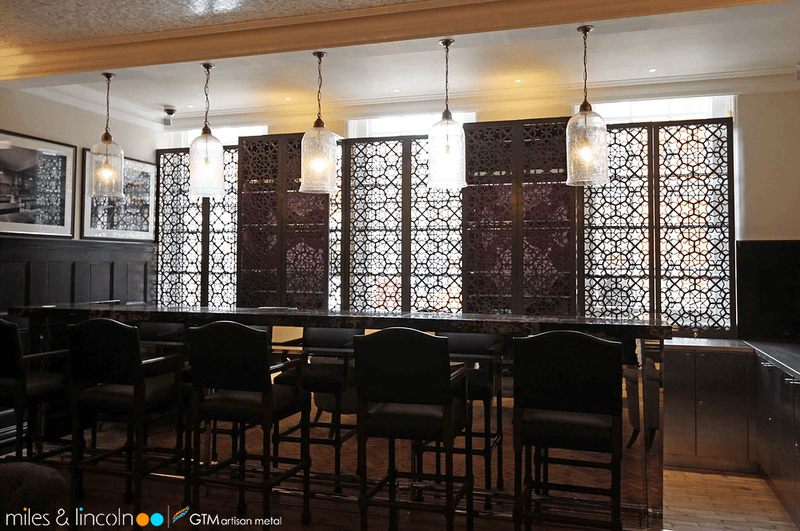 For internal use, we can provide laser cut infill panels for installation in framed, pocket, bi-fold or roller type doors. 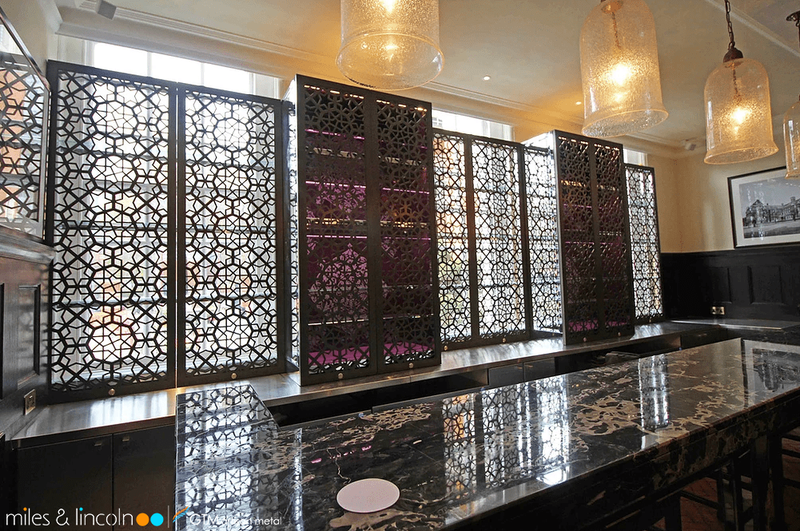 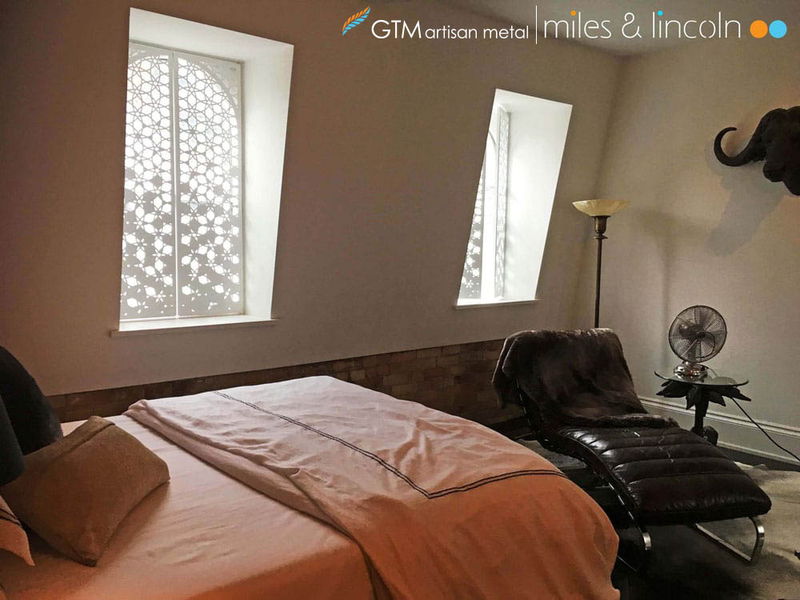 Panels can also be combined with sheet glass where soundproofing is required. 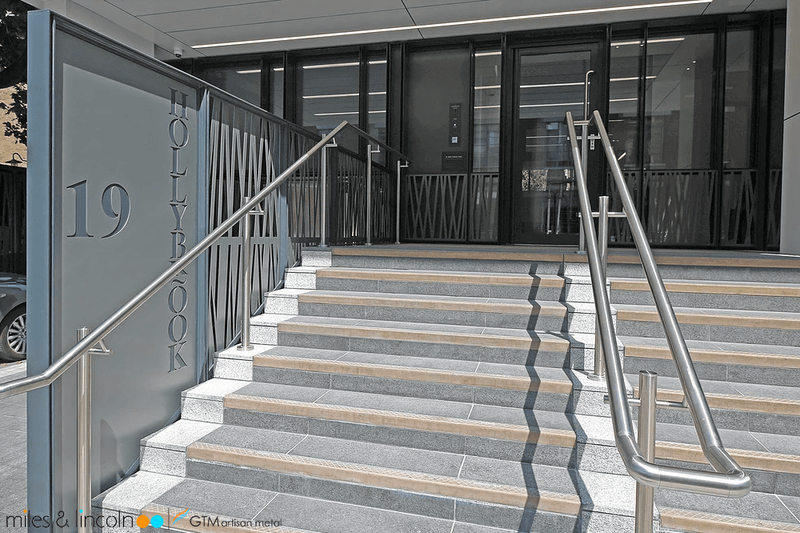 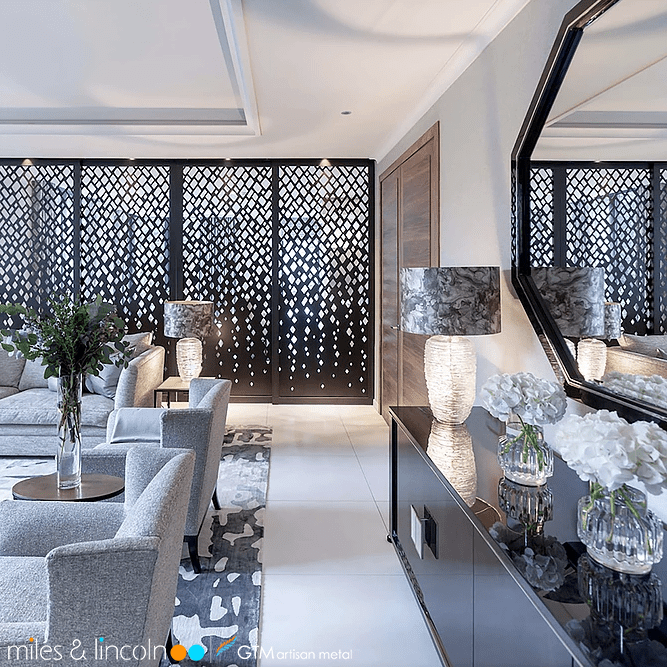 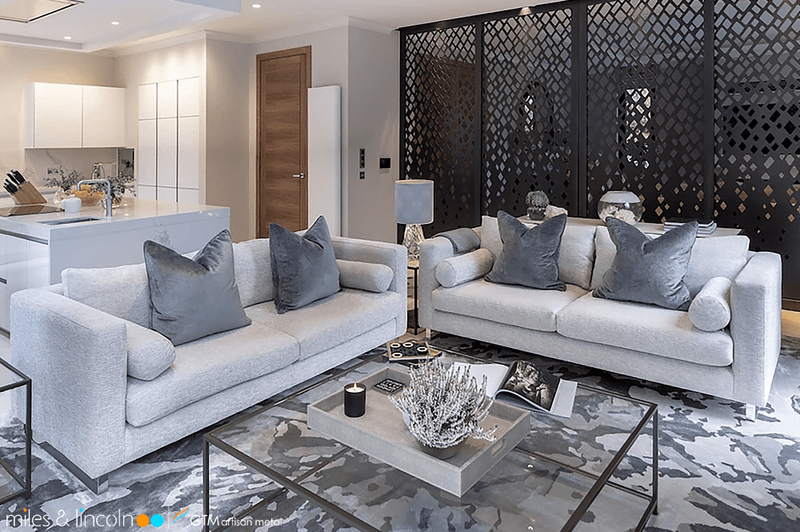 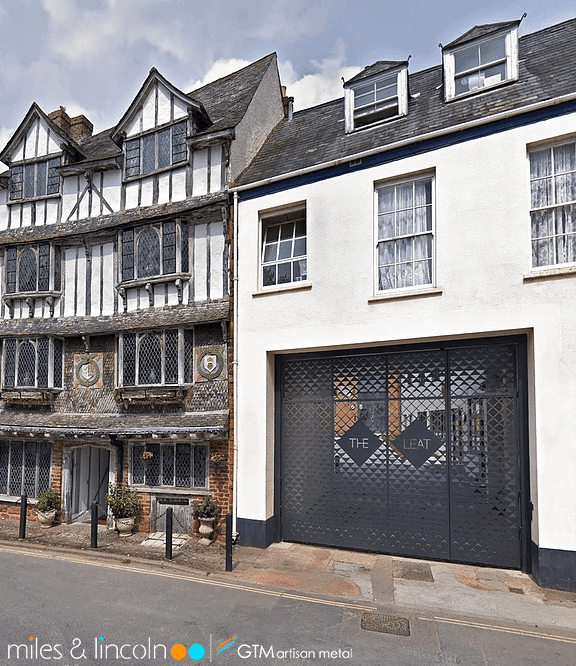 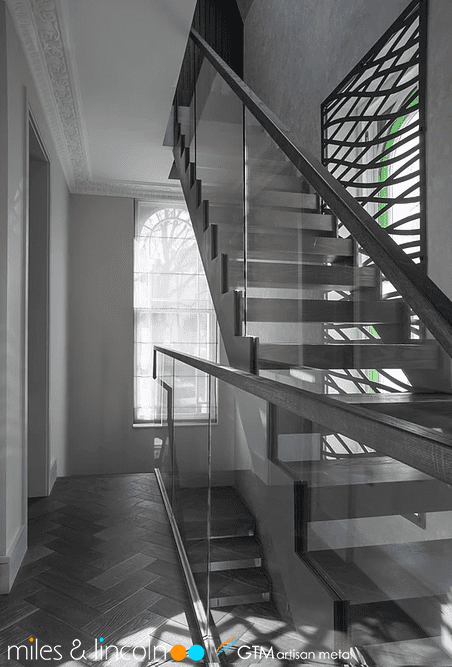 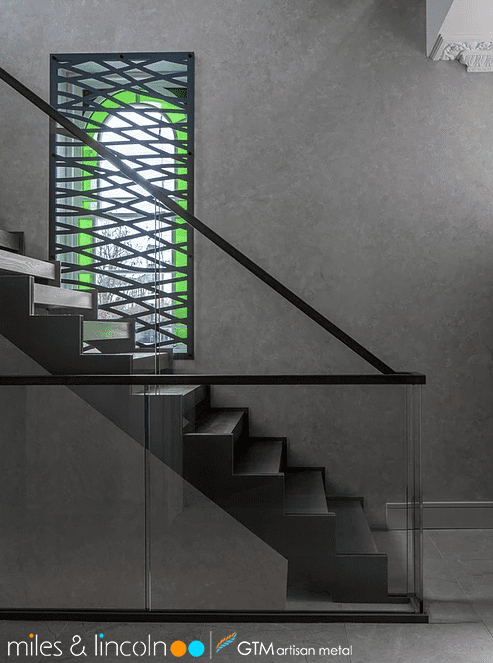 Westbourne Lofts – Notting Hill. 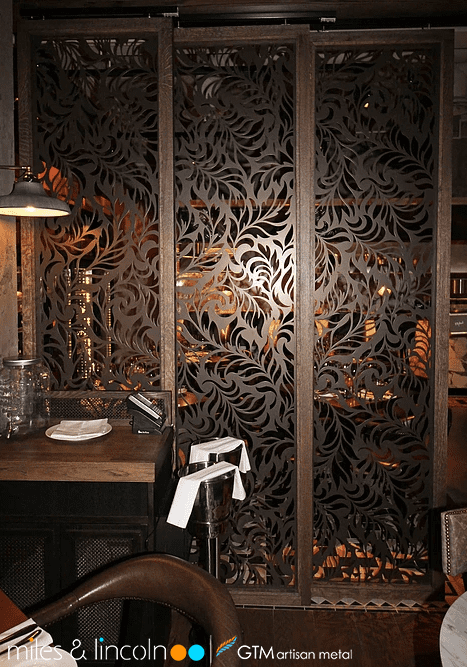 Laser cut screen finished in bronze. 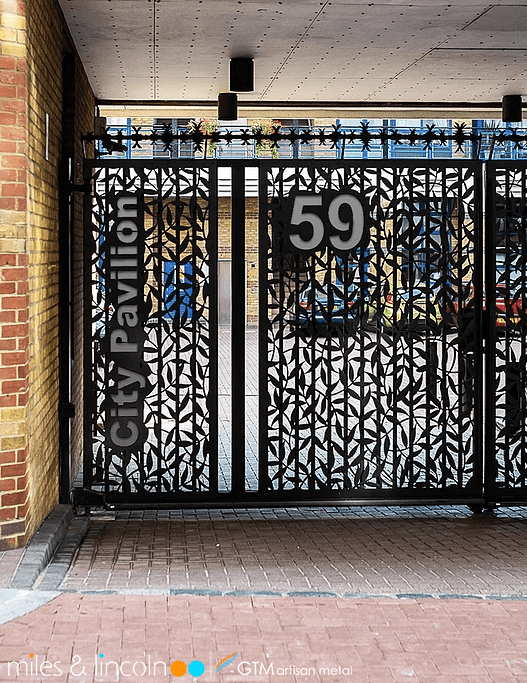 City Pavilion apartments - London. 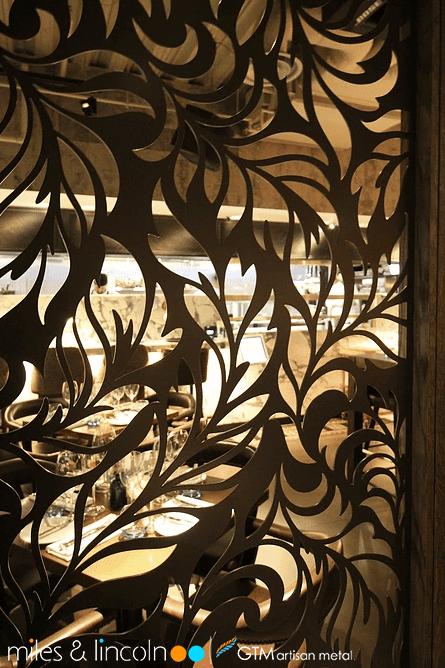 Tiger Leaf design with signage.